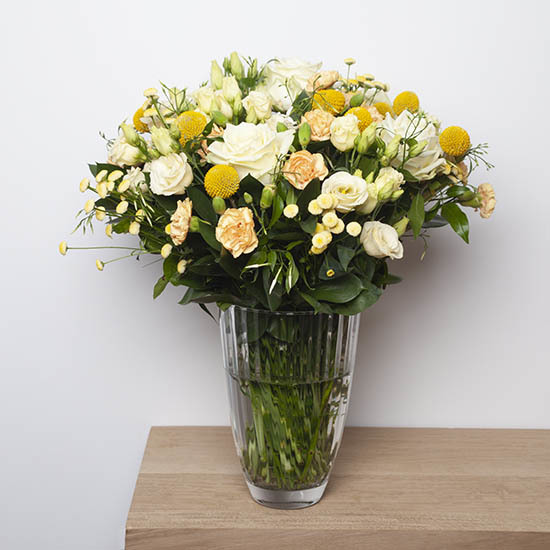 Be sure to please with this tall, generous bouquet arranged in a harmony of white, cream and vibrant yellow. 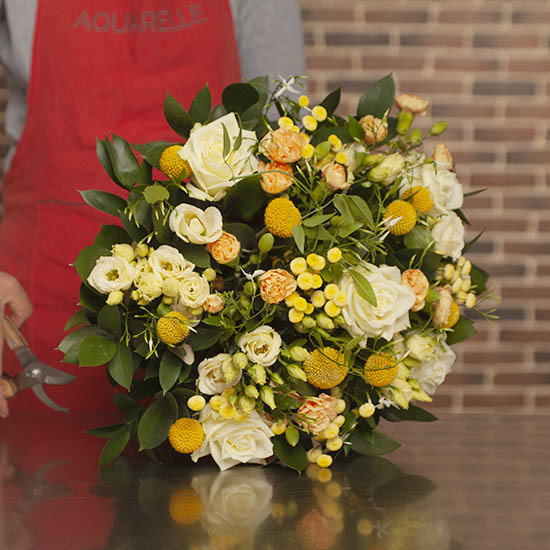 Beautiful 'Avalanche' roses, 'Kamily' sweet williams and pretty cream lisianthus mingle with fragrant branches of jasmin. 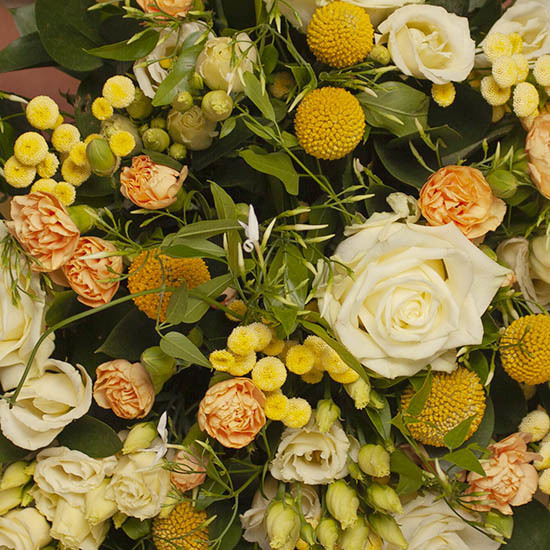 Dainty yellow pompoms and craspedias add a light, airy touch to this beautifully original bouquet. This product is currently unavailable. 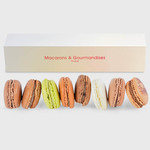 Discover our seasonal offers.